Smartphone Fanatics: webOS 2.x for the Sprint Pre? Probably Not. 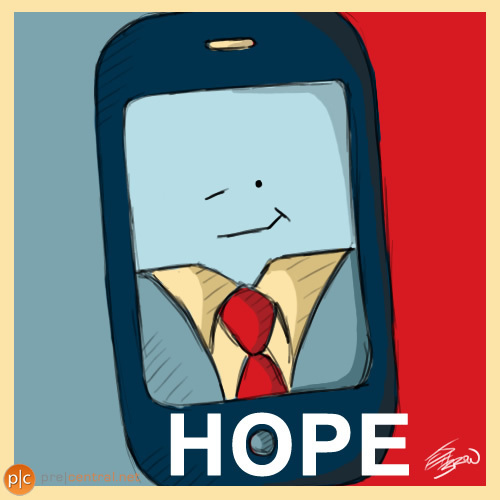 There is an interesting thread that I picked up this weekend over at PreCentral.net, thanks to last Friday's Pre Doodle cartoon. It seems that PreCentral forum member "zacky59" chatted with a Sprint customer service rep and inquired about webOS 2.x being released for the Sprint Pre and Pixi. The Sprint CSR told the customer that an update was coming as early as May 2, 2011. I don't think that this is a hoax or anything on zacky59's part. I just don't believe that Sprint will be releasing an update for a 2-year old smartphone. Time has passed the original Pre and Pixi by. HP is has moved on to the Pre 2, the Veer, the Pre3, and their new tablet, the TouchPad. 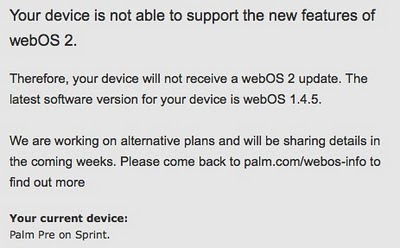 I'd be shocked if Sprint and HP roll out an update to webOS 2.-anything. How can I be so sure you ask? What proof to do I have that an update is unlikely? Beside the age of the phone, Sprint hasn't announced any new plans for any of HP's new webOS smartphones. The webOS development team is hard at work on tweaking up webOS 2 for the Veer and the Pre3, not to mention webOS 3.0 for the TouchPad. Aside from the thread, there has been no other blog coverage of an impending software update. And lastly, HP, via their Palm website, clearly states that there is no update coming for the Sprint Pre. "Your device is not able to support the new features of webOS 2. Therefore, your device will not receive a webOS 2 update. The latest software version for your device is webOS 1.4.5." Now I did play with a legitimate beta build of webOS 2.0.1 on my Pre a few months ago. Yes, it did run on my Pre. No, it wasn't fully finished or optimized for my hardware. Think about the last time you upgraded your PC - the old one was working, but, gosh, it was slow. 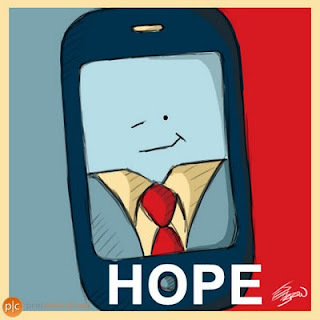 Same thing holds true for webOS 2.0.1 on the Pre. Would I like to seen an optimized version of webOS 2 for my Pre be released this month from Sprint? You betcha'! But I'm not going to get my hopes up.